Step #1: Click on the Spotlight search icon located on the top-right menu bar on the MacOS interface. Step #2: Type ‘Keychain Access' into the middle search bar and press the ‘Enter' key. Step #3: Make sure ‘Category' in the left sidebar is set to ‘Passwords' & use the search box in the top right to search for your WiFi network's name. 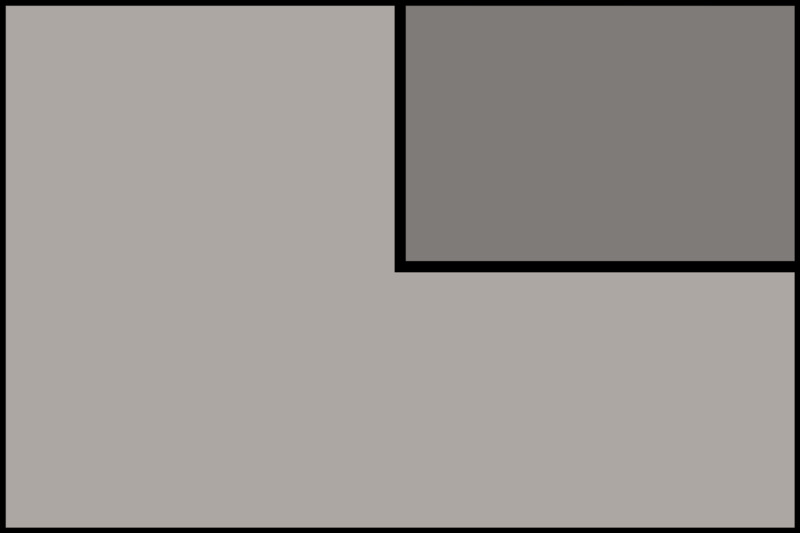 Step #4: Locate your WiFi network, & double click it to open the details panel then check the ‘Show password' box. Step #5: If prompted to enter your username and password to grant access to Keychain Access, do so and click ‘OK'. Step #6: If you were able to successfully authenticate to your Keychain, then you should see the saved password in the text box. There are a couple things worth mentioning. 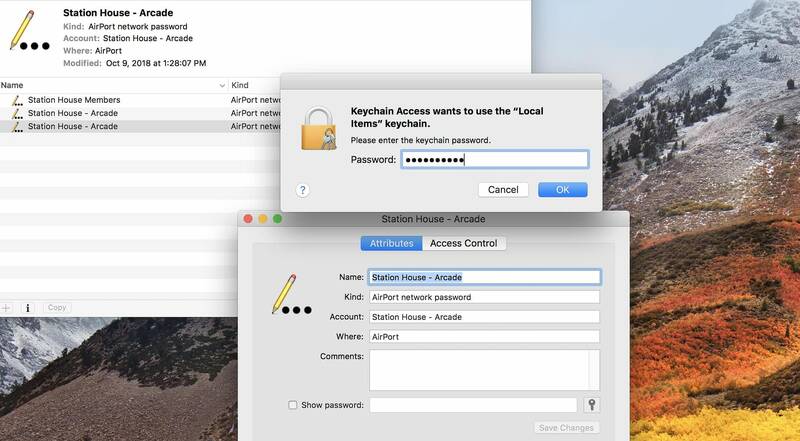 The above process for how to find WiFi password on Mac will ONLY work for accessing correct passwords for WiFi networks that have been previously accessed on your Macintosh (for sharing with additional devices or others). If you've never successfully connected to the wireless network in question, this will not work. 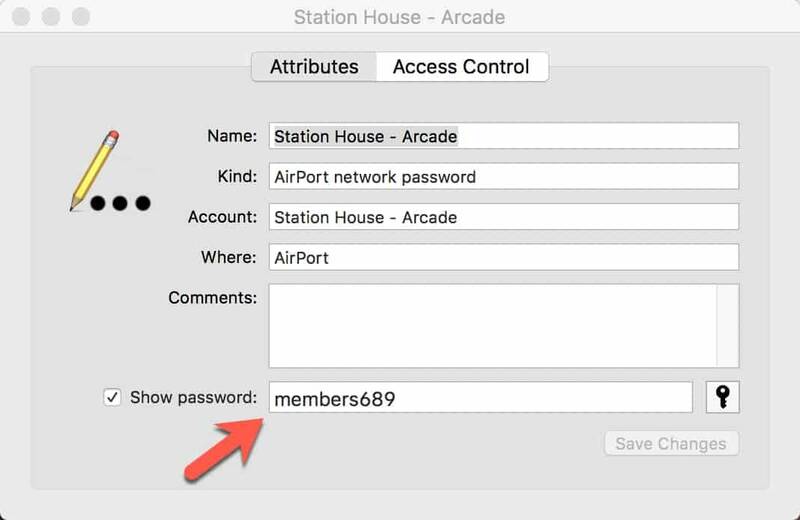 As of MacOS High Sierra+ and iOS 11+ (including the iPhone XS & iPhone XS Max), there is built-in support for password sharing through the operating system for trusted guest devices without the need to follow the steps in this guide (including not needing to remember any passwords). If there are duplicate results matching the exact name coming from both the System and iCloud keychains, you are better off checking the iCloud entry first. 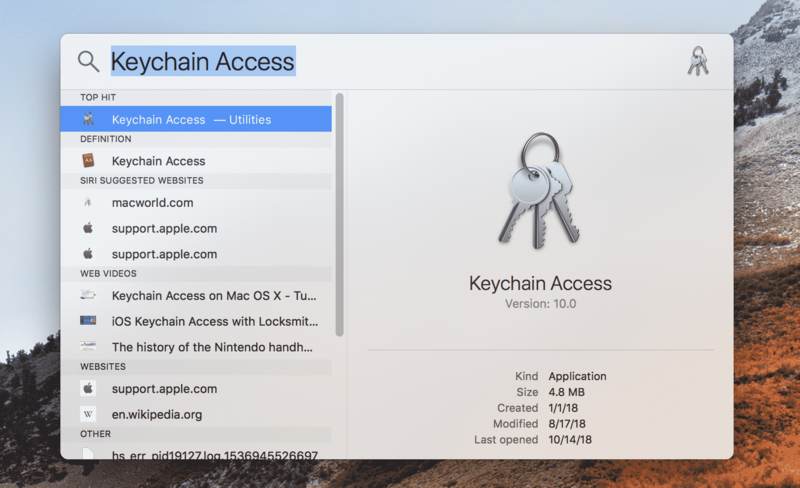 By default, iCloud will update their keychain across the board if users change a network password so that is the best way to ensure an accurate password lookup the first time around. 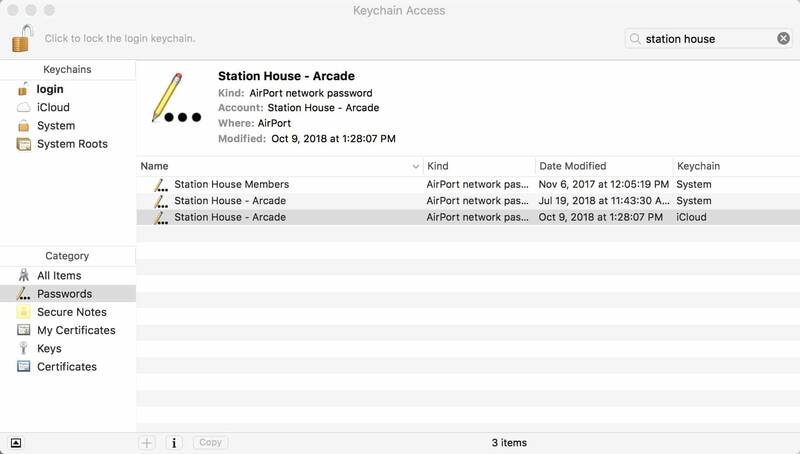 If you are running into issues authenticating with the Macs Keychain, you must remember you user account information correctly. The user name will be whatever you named your user account within your MacOS profile and the password will be your account password. 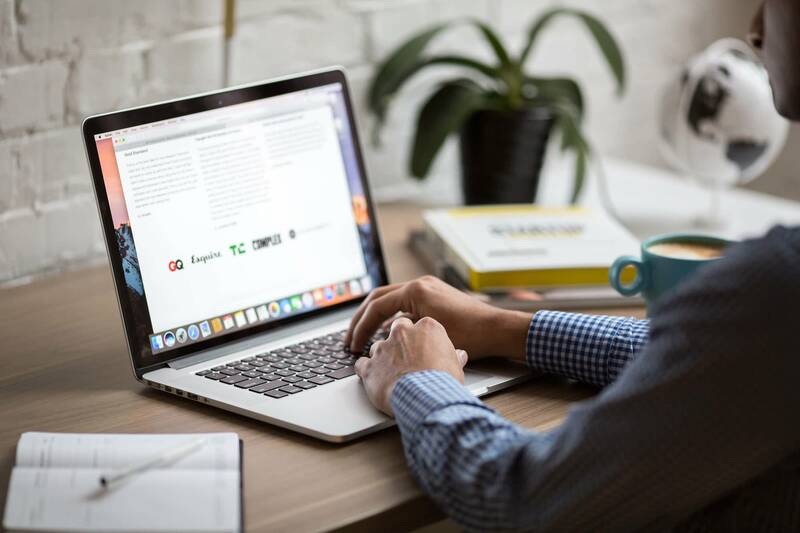 Should password remembering be an issue for you for things other than WiFi, we would recommend looking into a password manager service like 1Password or LastPass which will help securely manage your passwords. They both have native apps for both Mac OS and iOS devices as well as Android and Windows users. We use their iOS app and mac apps daily to keep track of all of our various personal and business-related passwords with ease. At this point, you have completed our tutorial on how to locate a saved WiFi password from your laptop or computer running the most recent versions of MacOS. I hope this helped you figure out how to find wifi password on Mac !